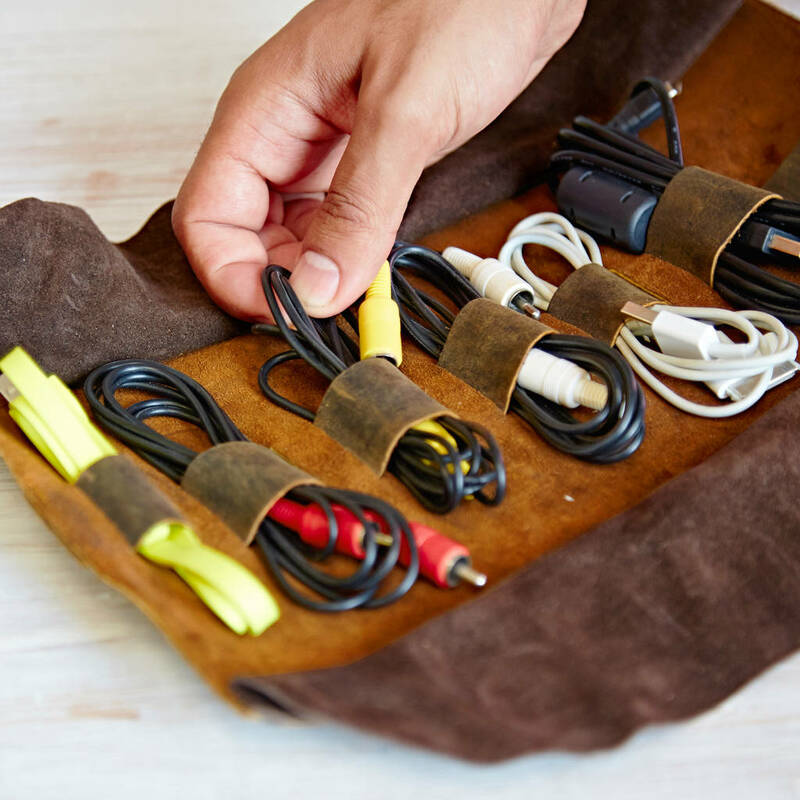 Our wire organisers are a brilliant way to store cables & wires when travelling, never will they have looked so good or so well organised! 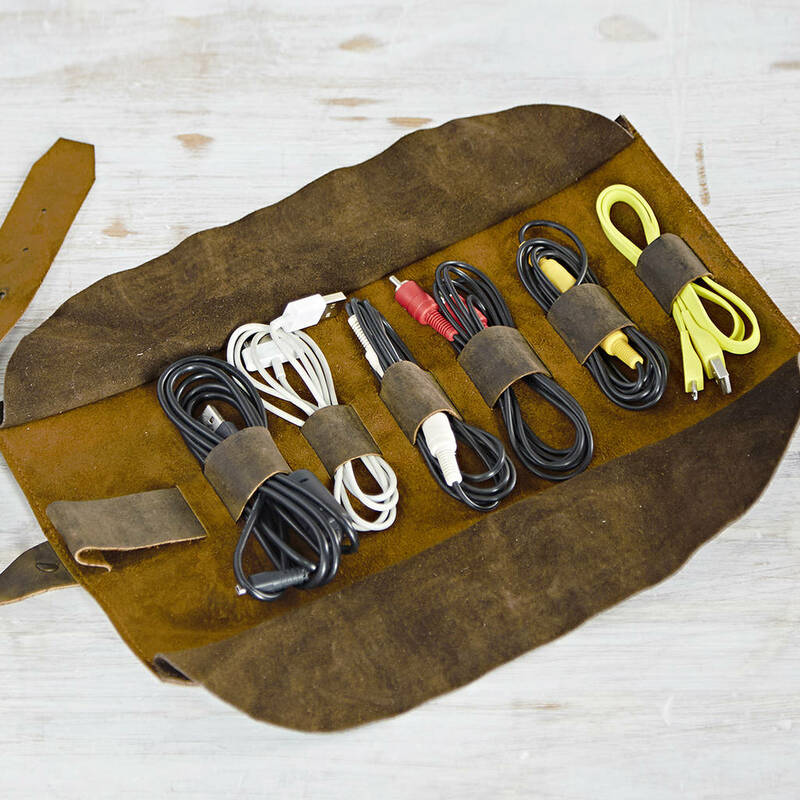 Tidy wires and cables in the roll using the leather bands to secure them in place. 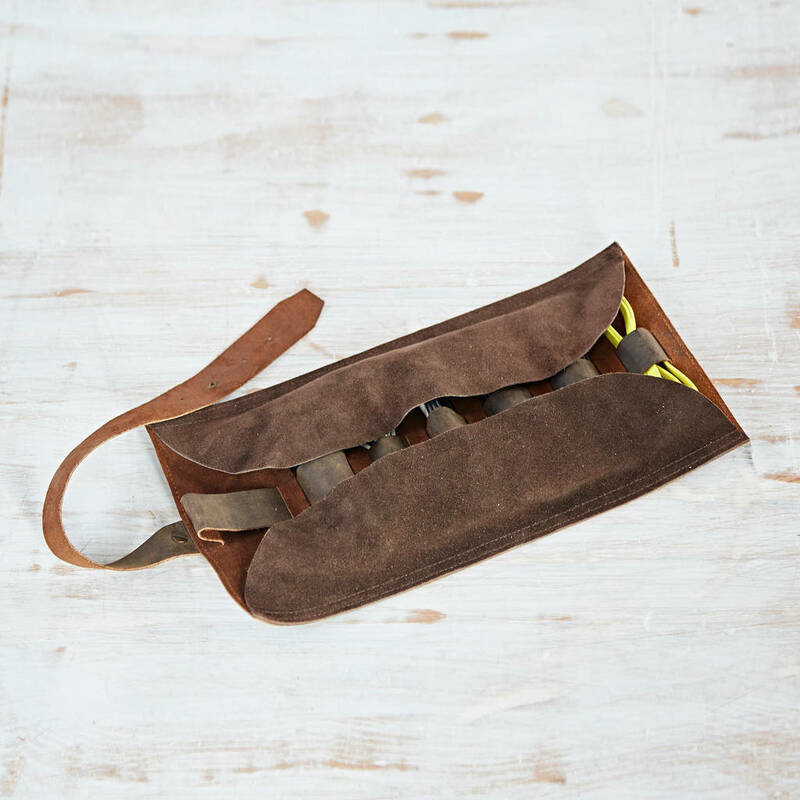 Fold the flaps over, roll up the leather and secure with the leather strap. 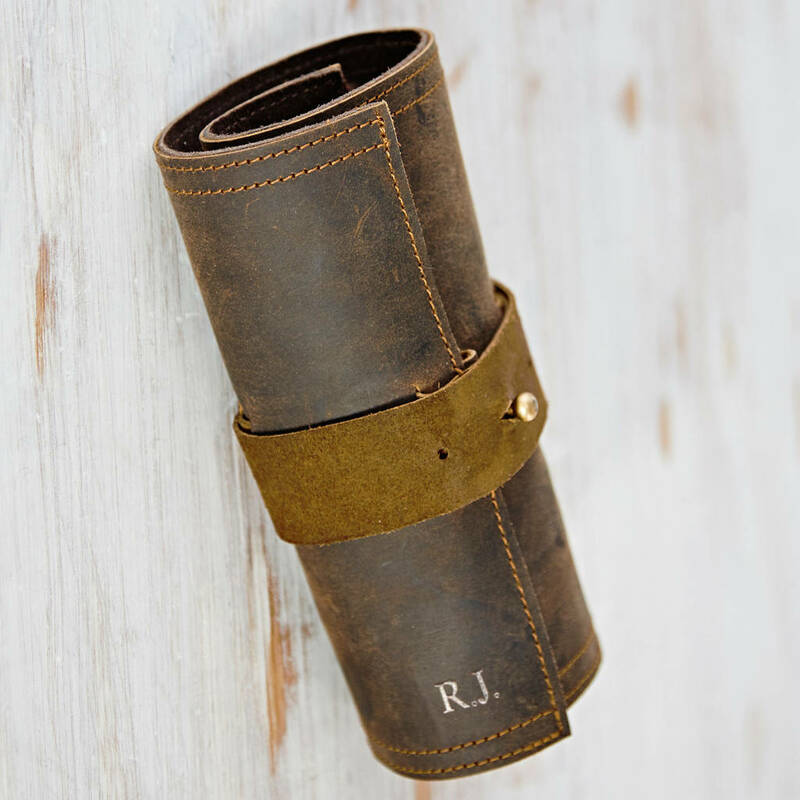 Simple and stylish. 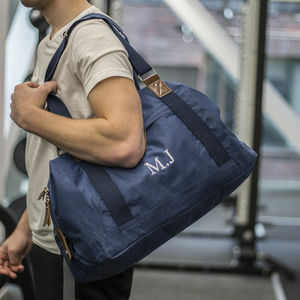 Great for IT types, musicians, roadies – basically anyone who has loads of wires and cables they need to carry around with them. 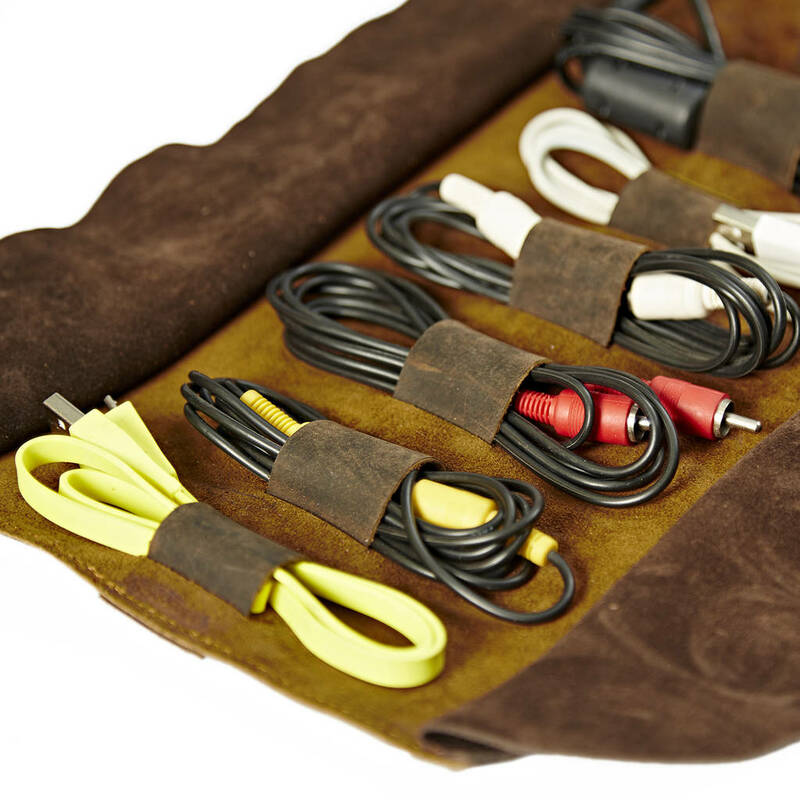 The buffalo leather we use has been chosen because it is sturdy and strong, perfect for protecting your wires. 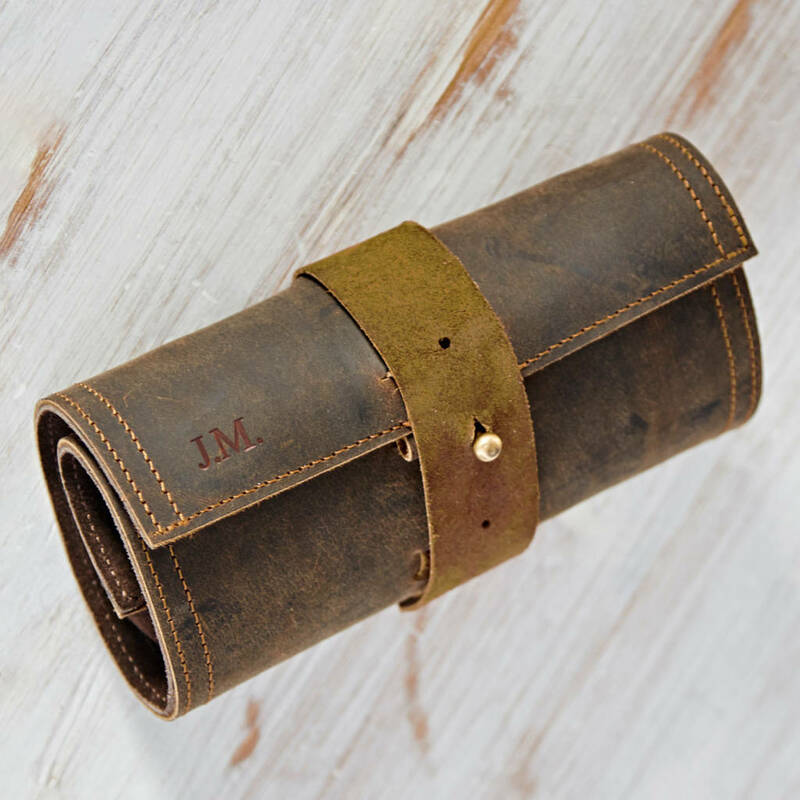 It's perfect for everyday use and happy withstanding knocks and scrapes – in fact, these will just add to the character of the leather. 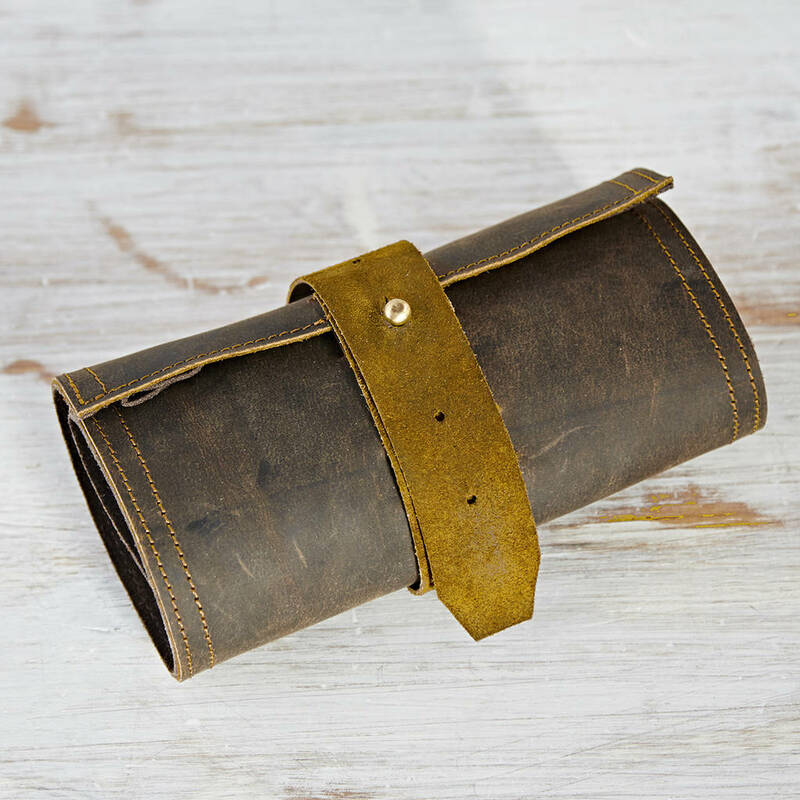 Our leather cases are made with buffalo leather, a beautiful hard-wearing leather that is treated and oiled to become sturdy and showerproof. 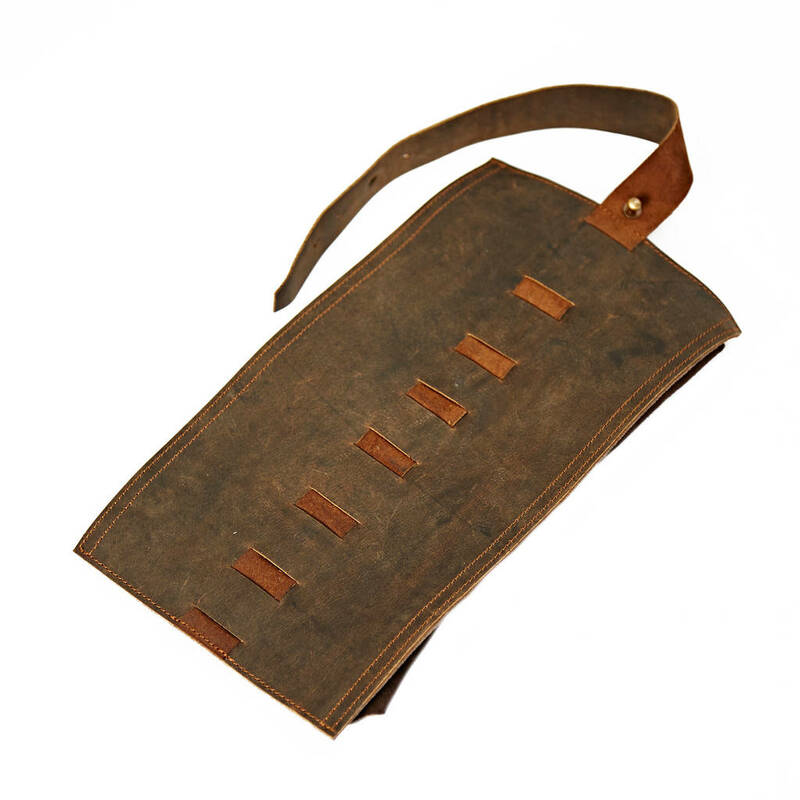 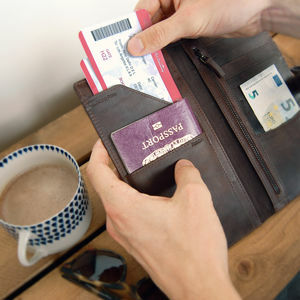 The leather is produced using traditional methods which allows the leather to retain its character. 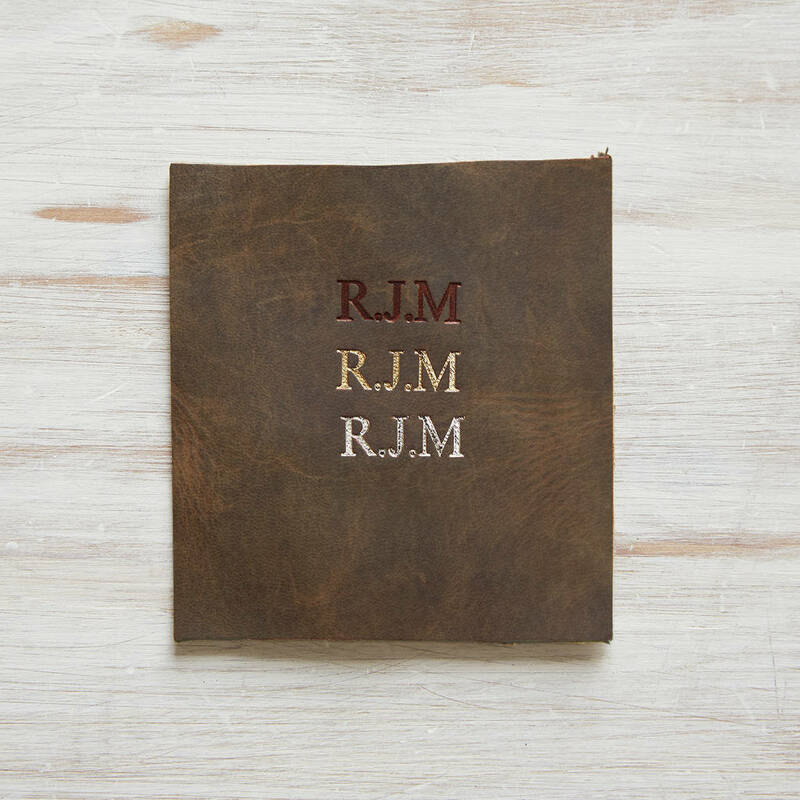 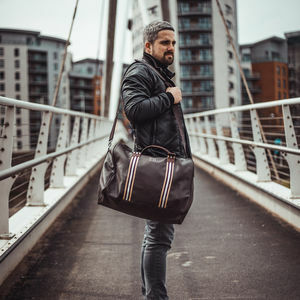 You will find that each product has a slightly different finish because of this, we love that each of our leather items is unique whilst always maintaining a high-quality end result.